Marriage Counselling: Does It Help or Not? The rate of divorce is alarmingly high today, and there seems to be many couples out there who are on the verge of giving up and just getting a divorce. In fact, for the past several decades, it has been true that about half of all marriages end in divorce. Getting counselling in Leduc can be a big help for many couples. However, there are always those who wonder whether getting counselling really helps or not. Let’s look at some of the reasons to get counselling, and the benefits that it can provide, as well as when it might not work. When you seek out a quality marriage counsellor in Leduc, it has the potential to provide you with some wonderful benefits. One of the biggest of those benefits is that you can learn how to resolve conflict in a healthy manner while still being respectful to the other party. You will learn improved communication skills, and you start to understand how to communicate without feeling angry or resentful. 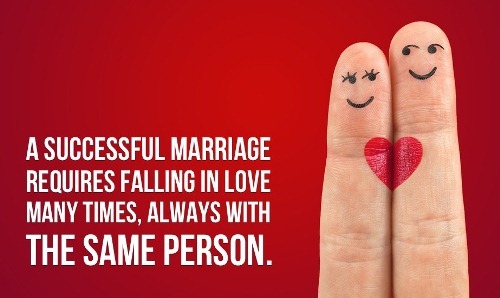 Both of the people in the marriage can learn to discuss their issues with one another without being afraid that they are hurting the other person. Counselling can help people learn how to deal with their unresolved issues and how to work through them. Ultimately, it can help you to develop a better and deeper understanding of your spouse and who they are and what they need from a relationship. Many people are afraid to seek marriage counselling in Leduc because they think it means that they are a failure at marriage. That’s not the case, though. Everyone has trouble at one point or another and getting through those troubles can often be much easier with good counselling. If you have found that communication with your spouse has become negative and has deteriorated, it might be a good idea to get counselling. If there has been infidelity in the marriage, if the couple no longer speaks to one another meaningfully, and if they do not know how to resolve their differences, counselling can help, as well. Is Marriage Counselling Always Going to Help? While getting counselling does have the potential to help many couples through difficult times, it is important to realize that there is no magical cure that is going to work for everyone. There are always those out there that are not going to benefit from counselling for one reason or another. One of the biggest reasons that counselling might not work for someone is because they are not giving it a fair shot. They come into the counselling sessions with the belief that counselling does not work already firmly in mind, and nothing is going to change their mind. In those cases, all they are doing is wasting time. If one of both of the partners in the marriage has already decided that they want to go through with the divorce, then it can be difficult even for counselling to help. Those who are in physically and verbally abusive relationships, where there is harm being done to one or both in the marriage, may find that separation is essential. It can be very difficult to overcome those types of problems and going through with a divorce can be better than allowing harm to come to yourself or your children. You never want to take divorce lightly, and you should always at least try to seek some form of counselling to get the help that you and your spouse need. However, you also need to understand that counselling is not the cure-all for martial problems. Always do what is truly best for you and your spouse.